Time sure flies, folks. It’s now July and the second half of the year has begun! As usual, let’s take a brief overview on what has happened in the past month for Bushiroad Spring Fest 2016 (BSF2016). 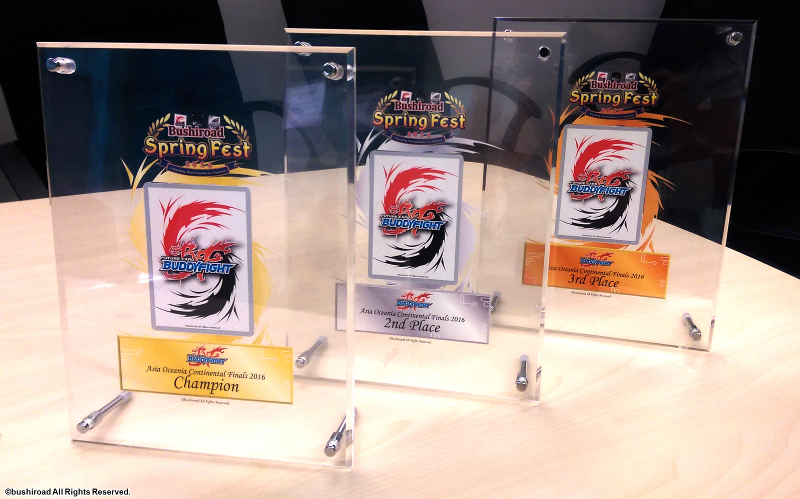 The Spring Fest is almost approaching its end with only one single regional qualifier left! 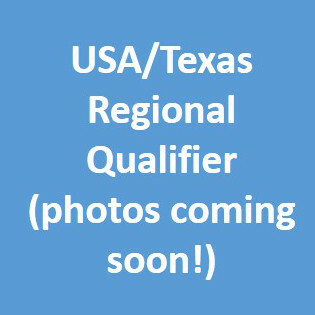 Throughout the month of June, we had our last regional qualifiers for the North America and Europe circuits. 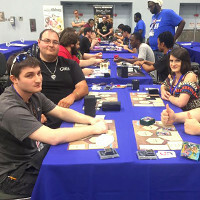 Seats for the representatives of Buddyfighters in the Europe and North America Continental Finals are all filled. Check out the photos from our Facebook page below! 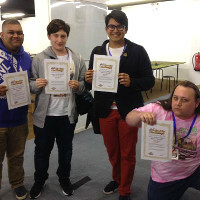 The Worlds of the Dragons are indeed strong, for they reign at the top three spots throughout our series of reports! 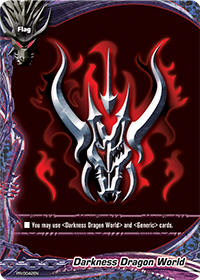 While Star Dragon and Darkness Dragon Worlds are switching between places 2 and 3, Dragon World remains on top with quite a significant margin. With only one location left, I would say that this is almost the final results as it is. Fans of the dragons, raise your Flag tall! For you Buddyfighters looking for a novel way to fight, look no further! 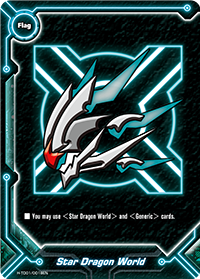 Happening on the same day as the Singapore Regional Qualifier is the special Future Card Buddyfight Double Deck Fight! 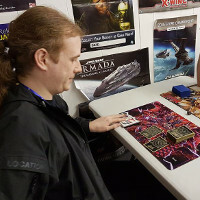 In this special tournament you will fight using two decks of different Worlds, and see which (two) Flags win the game. There will be a special D-BT02 Preview Session taking place as well! You may challenge our friendly staff who will be using cards from D-BT02 “Roar! Invisible Dragons! !” in their deck, and if you win, you can walk away with a PR card! Be the first to check out the power of D-BT02 “Roar! Invisible Dragons! !” cards releasing on July 22. Two sessions available on Sunday, July 10, at 12:00 and 14:30! For young players, you can fight fellow junior Buddyfighters in the Junior Challenge! Free fights and other special tournaments are available, too. 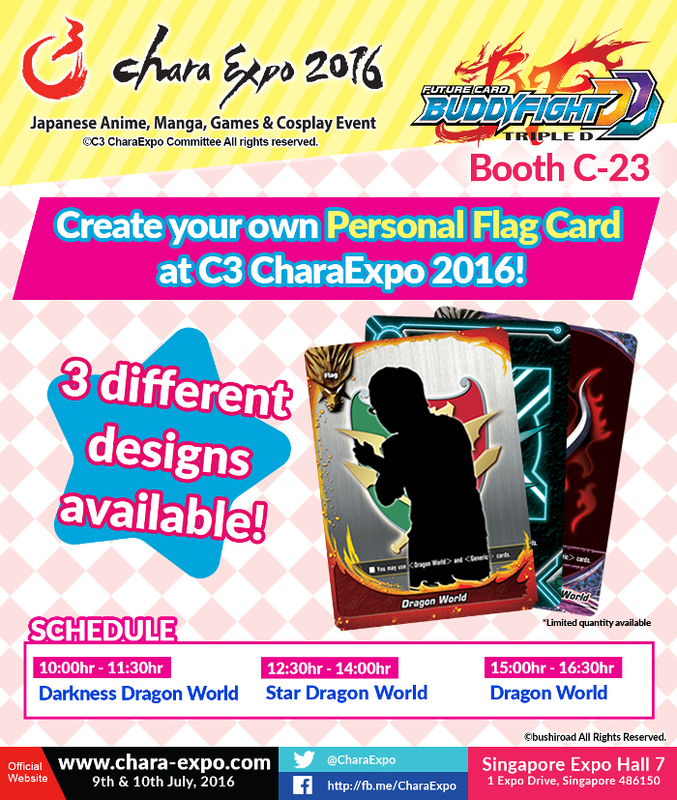 Check out the C3 CharaExpo 2016 Card Game Area schedule for more details. In between rounds, you can browse the nearby sales booths to shop for cards, supplies, or your favorite merchandise. 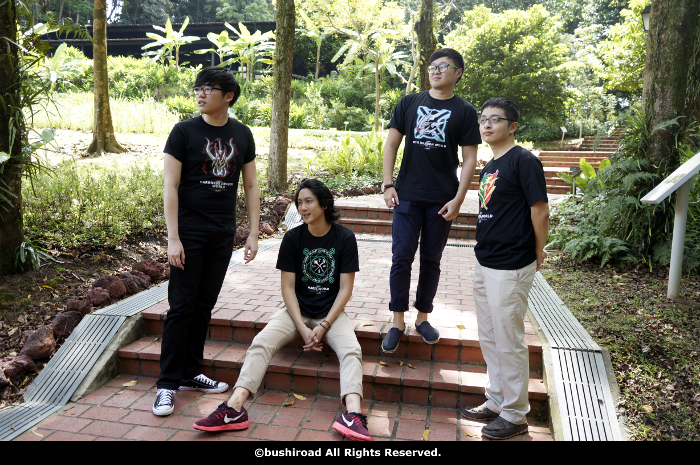 The World Emblem T-shirts will be on sale, too! Wear it to the tournament if you fancy Buddyfighting with style! Head here to see the selected products on sale at C3 CharaExpo 2016. 3. Now YOU can raise the Flag! 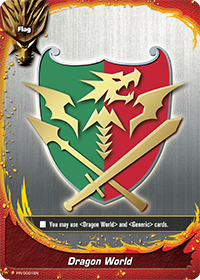 I’m sure you love having Gao, Tasuku, or Gaito on your Flag Cards, but in C3 CharaExpo 2016 you may get one that you would love even more. This Saturday and Sunday, you can create your very own Personalized Flag Card featuring your own photo at the Bushiroad booth! What is better, these Personalized Flags are legal for English tournaments! On top of that, it’s FREE of charge! After receiving your Personalized Flag Card, snap a photo and share it to Facebook or Twitter with this hashtag: #raisetheflag. The coolest entries will be featured on our official channels! Take note of the schedule for the different timings for different Worlds. Limited quantities are available, so don’t be late! 4. Stay for the next day, and watch the National Champions compete in the Continental Final! That’s just few of the many exciting activities you can do within C3 CharaExpo 2016! You can also play other Bushiroad games at the Bushiroad Booth, enjoy concerts, or even watch Pro-Wrestling matches! 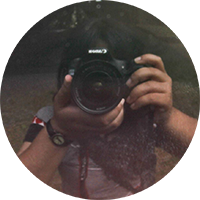 Explore all the amazing contents at the official website here. That’s all for today! For our friends in Europe, on the same weekend Bushiroad will also be at Japan Expo in Paris! Do drop by our booth where you can challenge our Staff for a game, try your luck in the Wheel-of-Fortune sessions, and many more! We will be back next week with more news and updates! Till then, folks!